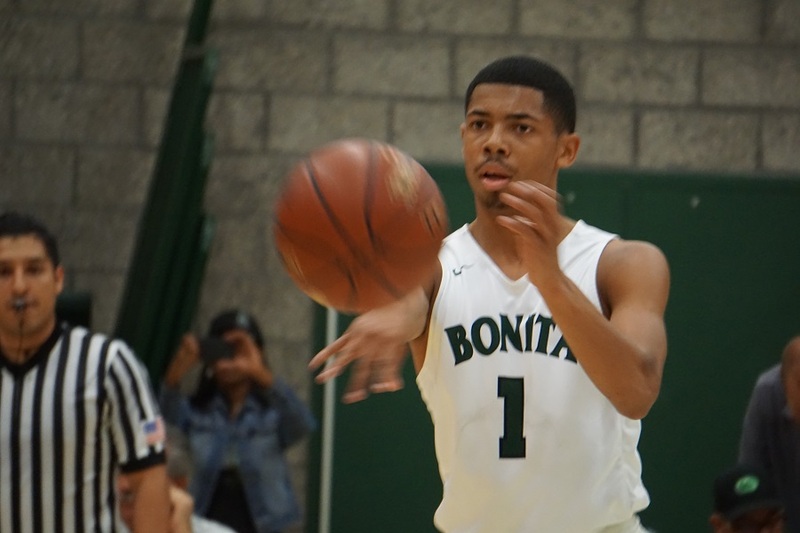 Senior point guard Jamaal Barnes had the ball moving in the right direction for Bonita. 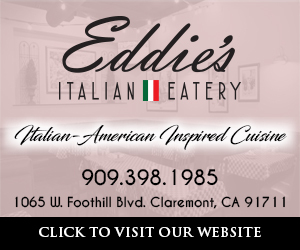 LA VERNE, California, December 12, 2017 — While many teams this season may outsize Bonita, few will likely be able to out-hustle or outlast the Bearcats. 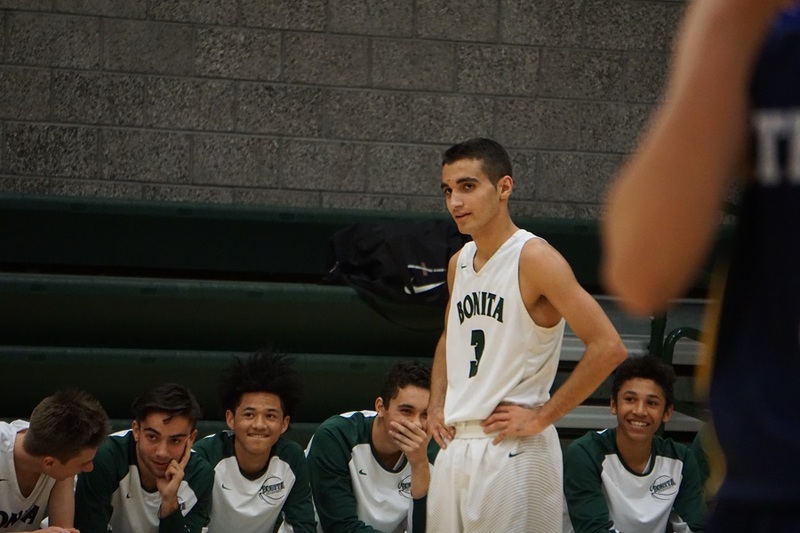 And that script pretty much played out on Monday night at Ketterling Court in La Verne as Bonita finished strong to defeat a tough Australian team, 75-59. Australia’s Spitteler (No. 15) victimized Bonita early, pouring in 11 points in the first quarter, including three treys, which gave his team a 23-19 lead at the end of the first eight minutes. In the second period, Bonita started finding its groove behind Isaac Al shatti (No. 3), who finished with a game-high 19 points. The Bearcats also switched to man defense, trying to limit Spitteler’s touches. The adjustments worked and Bonita led at the half, 38-37. Bonita always puts on a great halftime show. 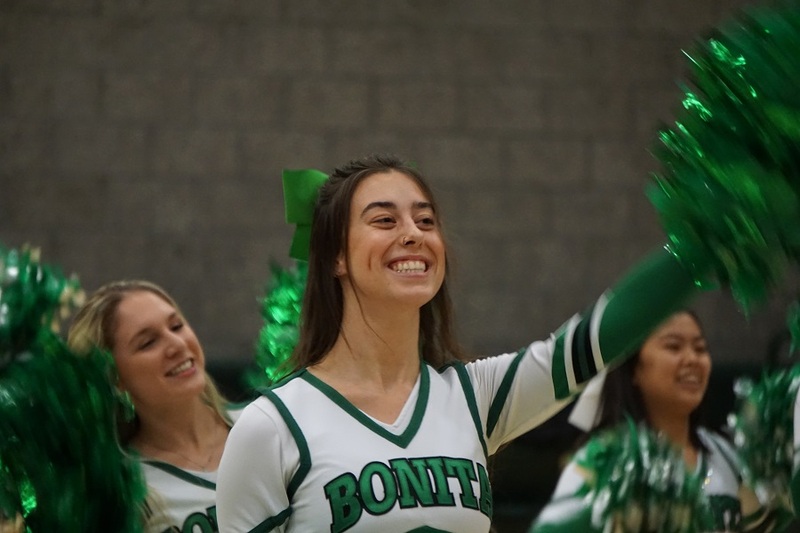 In the third quarter, Bonita hit full stride, putting together a 13-3 run, forcing Australia to call a time-out at the 3:50 mark, with Bonita leading 51-40. Australia never really recovered from that Bonita burst, and then midway through the fourth quarter, with Bonita holding a comfortable 70-52 margin, Jamaal Barnes (No. 1) thundered home a massive dunk that put the partisan Bonita crowd on its feet. Barnes finished with 15 points. After that exclamation point, Bonita coach Tim Godley emptied his bench. “We wanted to push the ball and get some turnovers because we’re not as tall as they are,” Godley said moments after the game. “And that one guy got a bunch of threes early. The game pretty much went according to plan, according to Godley. “We wanted to tire them out, play fast, and create opportunities — and it’s more exciting to watch,” Godley added. With the win, Bonita moves to 3-1 in the young season. Game coverage by La Verne Realtor Colleen Bennett and mortgage maestro Tim Manfro, a former Bonita Bearcat. 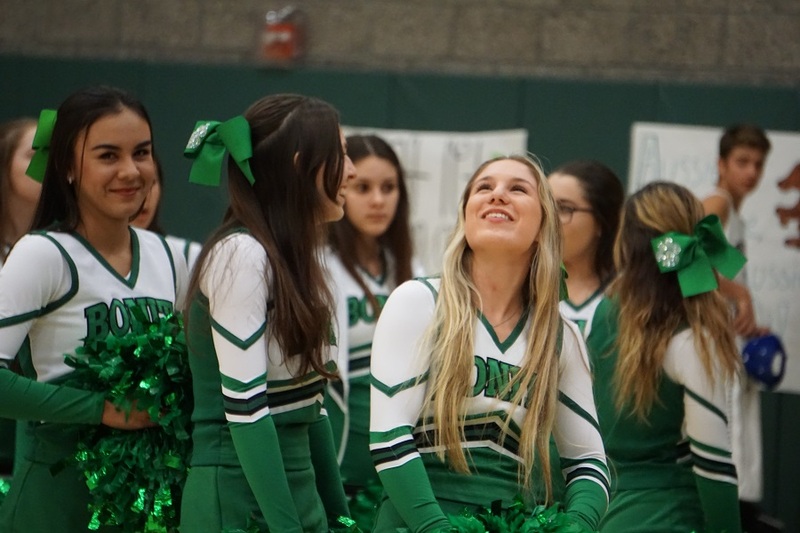 When Bonita fans looked up at the scoreboard, they liked what they saw!